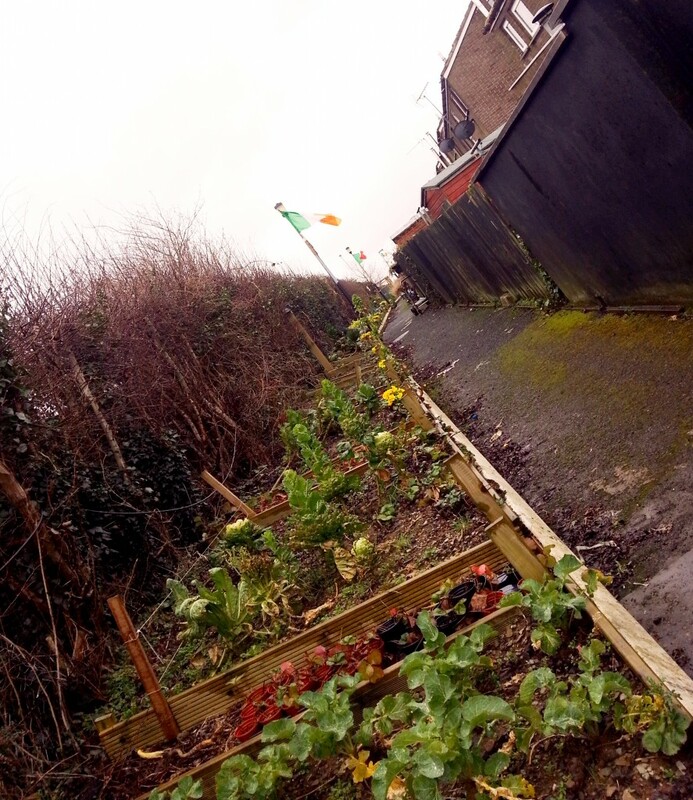 If you’ve read the previous blog post that explained the reason behind the trip to Northern Ireland and the mixed emotions it evoked, hopefully reading about the two community gardens we were shown around will explain why we left with such positivity. 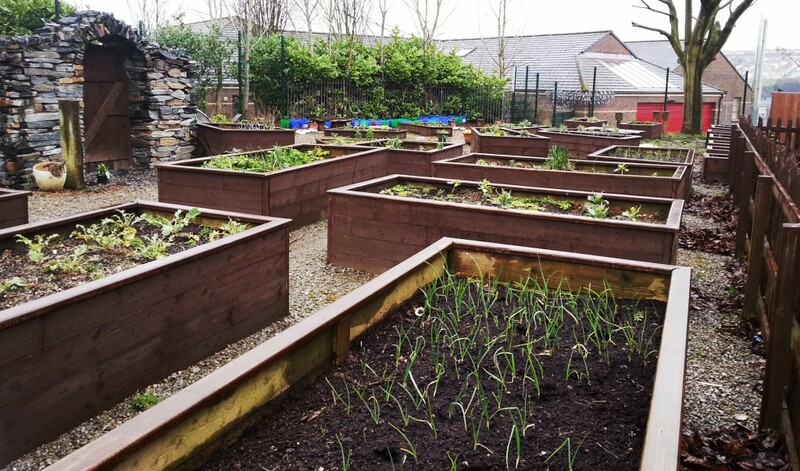 The two gardens in question were nominated by Derry City Council in the 2012 Pride of Place awards under the City Category for Community Garden and obtained runners-up place. The cost of each project was small in comparison to other projects (just £1,000 and £5,000 respectively) but the rewards and effects of bringing horticulture to the people have been considerable. The first garden visit was to Leafair Laneway Community Garden and was a fantastic example of how community gardening and horticulture can so positively impact on residents and communities. This series of gardens were developed in early 2011 by Leafair Community Association due to ongoing anti-social behaviour in the laneway. Cars were being driven up and down and residents had nailed their gates closed. 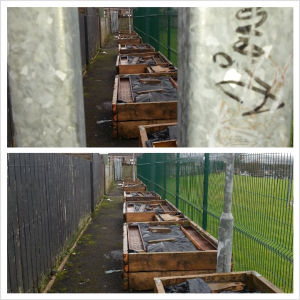 The project involved residents from the houses, Leafair Mens Health Project and Galliagh Off the streets initiative. During 2011 a series of horticultural courses were organised in the laneway by North West Regional College, working with Greater Shantallow Area Partnership which saw 48 people attend National Open College Network accredited horticultural training. This laneway has since spawned a further three laneway projects in the area, with another four areas secured for redevelopment in the same style. There must be hundreds of lanes and back alleys that would have room for raised beds like these… can you imagine them all in the summer and autumn months when they’re bursting with produce! St Therese, the local primary school has installed over twenty raised beds in the schools grounds, started a school composting system and various flower and herb beds as a direct result of the laneway. The second community garden is just below the Derry city walls, hence the lovely view below. Developed in early 2011 this project saw the lead being taken by Cathedral Youth Club who had identified an area of their estate which was just ‘poor wet grass’ and obtained funding through Co-operation Ireland to develop a grow-your-own project. The garden was constructed by residents, young people and Conservation Volunteers Northern Ireland. The primary school has a strong involvement in the garden area, visiting the garden every fortnight to participate in general horticulture. (The blue buckets in the back left of the picture above are full of strawberries that they children will take home.) The school also has a number of beds and horticultural areas developed in their grounds. The garden project has spawned a number of other initiatives in the community, such as large-scale daffodil planting, litter picking, graffiti removal and the installation of a new play park area – all led by the Cathedral Youth Club. The garden involved co-operation from Derry City Council, Housing Executive and Roads Service. Last year the two schools joined another school to create a new park space beside the Guildhall, now known as Foyle Gardens. This was formally a car park but is now a quality small park facility for tourists and residents to enjoy. The project involved Leafair Community Association taking the lead with support of Department of Social Development and Derry City Council Parks and Cemeteries department. 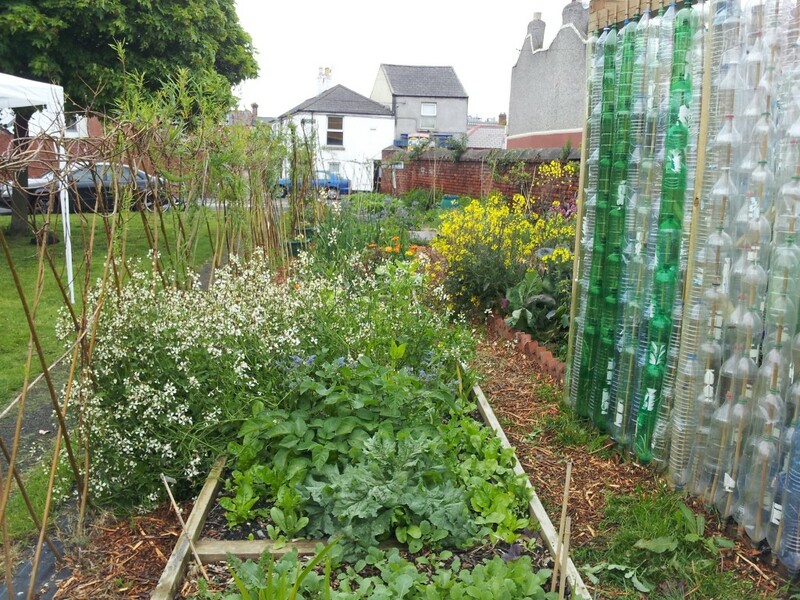 Gareth Austin was the community horticulturalist in all of the projects mentioned whilst Janey Stewart from @atthegardengate has offered huge support to the Community Gardens by providing seeds in bulk. The RHS (@rhsschools) has a ‘school focussed arm’ offering support to the school horticulture curriculum. One of the reasons I was so keen to find other community gardeners was to see how other people were doing it so that I could bring that knowledge back to my own nearby towns and villages. With the Community Garden Network we can all learn from each other and share our experiences and expertise. 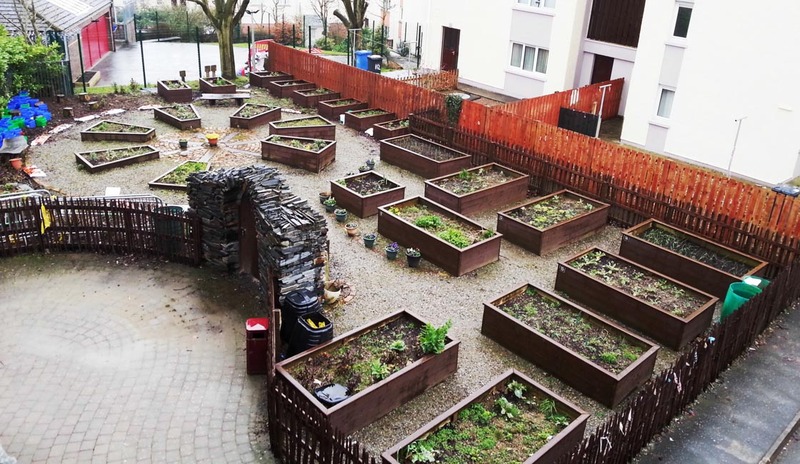 The network’s first trip was to a small urban garden in Dublin called Serenity (pictured below) and now we’ve been treated to Leafair and Fountain gardens. The next network meeting will be taking place in Sligo at the end of June where we hope to see more gardens. For anybody who can’t travel to the meetings, the gallery on the website is filling nicely with various groups pictures. I’ve written several posts on the community garden projects I’ve worked with here too. If you’ve felt inspired by any of the projects you’ve seen or would like to share your own, please check out the Community Garden Network site and add your name to the growing list of people and groups who are finding out the benefits of this type of horticulture for themselves and connecting. 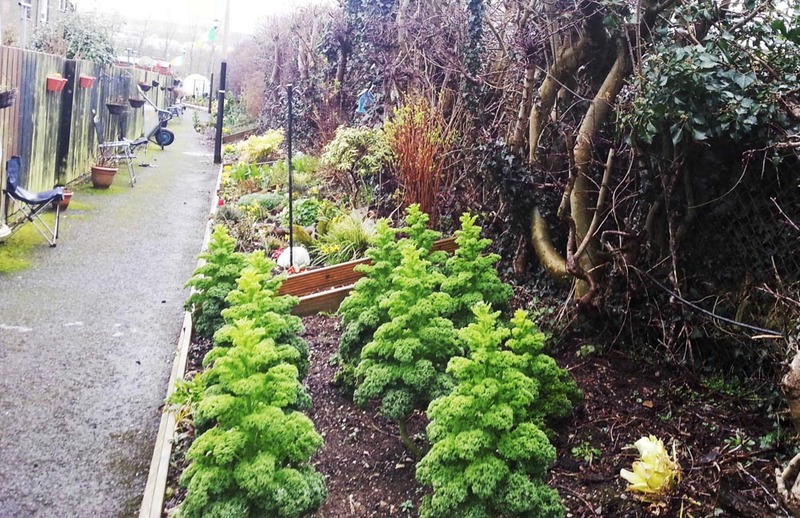 Here’s some feedback from a group of Kilkenny community gardeners on the benefits and changes its made to their lives. If you know of some land nearby that could be transformed into a community garden and aren’t sure how to do it, here’s some tips. I’d love to hear your thoughts on the projects… do you know of any areas near you that could benefit from something similar?